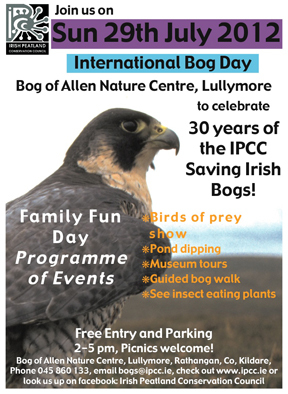 The Mayor of Kildare – Mr Michael ‘Spike’ Nolan officially launched the 30th birthday celebrations for IPCC on International Bog Day. 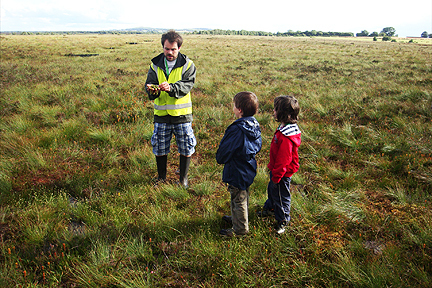 A crowd of 200 friends of the bog from all over Ireland gathered to take part in the days events. Before the event IPCC volunteers constructed a giant flower pole in the gardens at the Bog of Allen Nature Centre helping to create a festive natural environment for visitors. The Dublin Falconry and Hawking Club displayed and flew a selection of beautiful birds of prey including Barn Owls, European Eagle Owl, Bengal Eagle Owl, Peregrine/Saker Falcon, Saker Falcon and Harris Hawks. 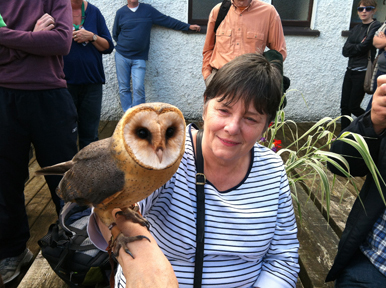 Many friends of the bog got the opportunity to feed and handle the birds which was wonderful. There were talks from IPCC staff about the work we do in education, conservation and research. The pond dipping activity for children was also a highlight of the day. Oliver Carney from Rathangan played the accordian while friends enjoyed picnics in the grounds. The day ended with a walk on Lodge Bog. Here is a selection of photographs taken by guests who joined IPCC at the Bog of Allen Nature Centre and Lodge Bog to celebrate 30 years saving bogs. Mayor of Kildare, Mr Michael “Spike” Nolan launched the 30th birthday party of the IPCC at the Bog of Allen Nature Centre. 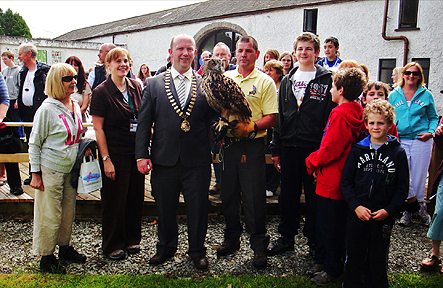 He is photographed here with a European Eagle Owl on his arm along with Dr Catherine O’Connell, the Chief Executive of the IPCC (on his left) and IPCC friends of the bog. Friends of the Bog got the opportunity to provide a perch for birds of prey and have a unique wildlife experience. 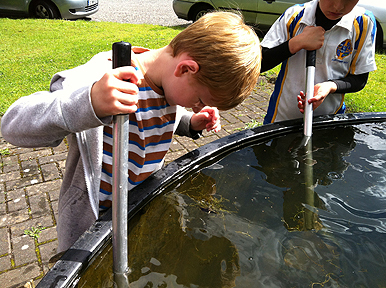 Children were delighted to do some pond dipping for invertebrates and they also enjoyed the visit to Lodge Bog. 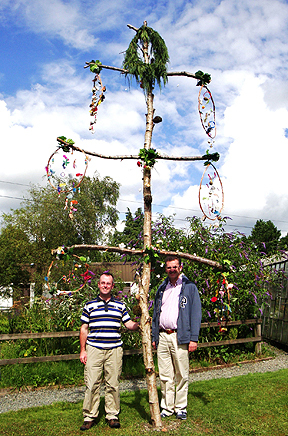 A giant flower pole constructed in the wildlife gardens at the Bog of Allen Nature Centre by IPCC Staff and Volunteers to celebrate 30 years of the save the bogs campaign 1982-2012.